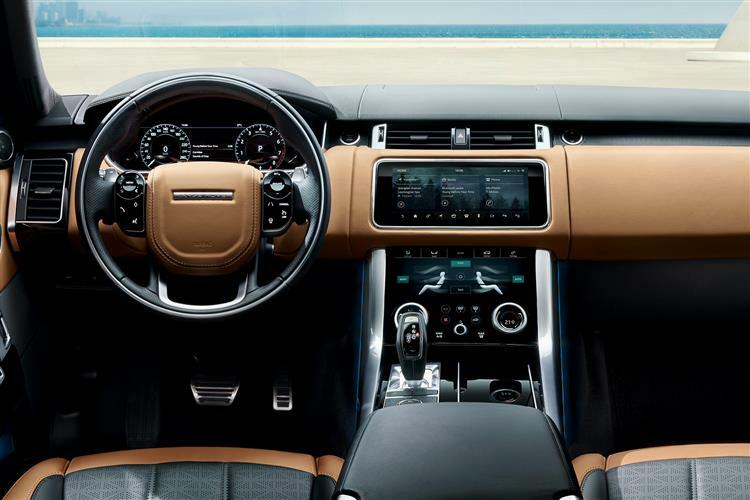 The Range Rover Sport came of age in second generation form, bigger, lighter and sharper in its reactions. Now, Land Rover has usefully improved it, adding in Plug-in PHEV petrol/electric power for the first time in the shape of the hi-tech P400e variant. 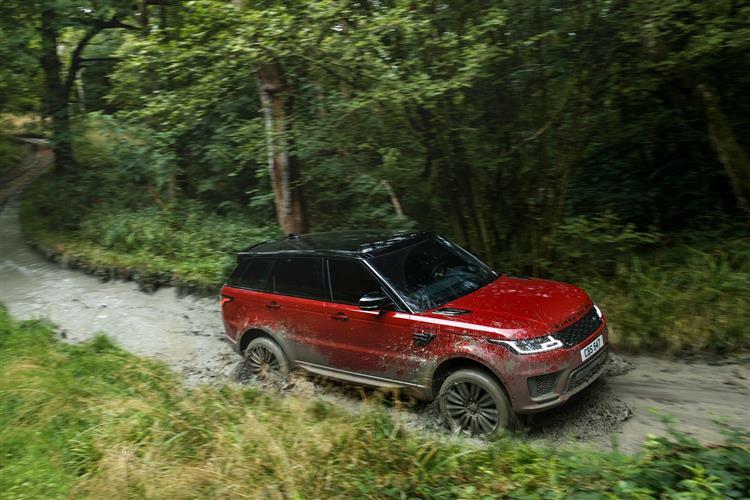 As you'd expect, this dynamic luxury SUV also gets up-to-the-minute safety and connectivity technology in its latest form, plus there's a 'Low Traction Launch' system for peerless all-terrain capability. So to the Range Rover Sport. A car that in its original guise was neither a Range Rover or 'sporty'. In fact, it was based almost entirely on the brand's sensible Discovery model and, thanks to that car's practical ladder frame chassis, as about as dynamic to drive. Not so this second generation model, now usefully improved to create the version we're going to look at here. Appropriately, its very existence is properly inspired - and in many ways completely made possible - by the fully-fledged Range Rover. 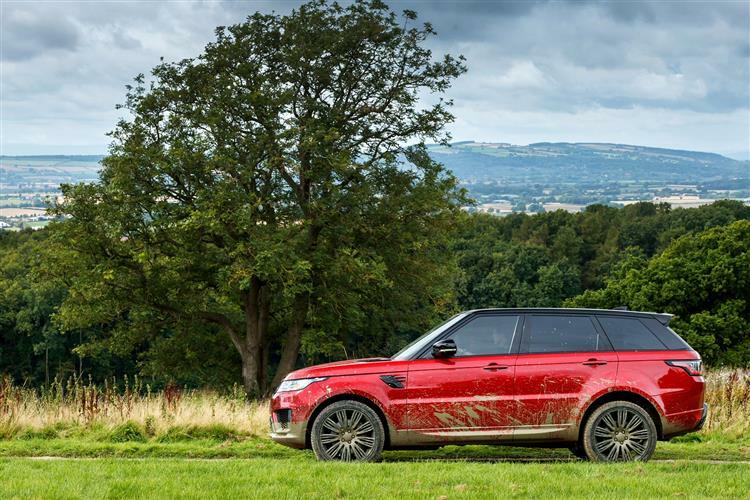 Back in 2012, that car was completely redeveloped in fourth generation form with aluminium underpinnings, sharper handling and hybrid power, engineering eagerly seized upon by the Range Rover Sport development team in their quest to at last be able to offer a credibly sporting SUV rival to cars like the Porsche Cayenne and the BMW X5. These two competitors of course, don't have to blend in unrivalled off road excellence with their back road blasting. They don't have to be automotive swiss army knives - all things to all people - in quite the same way. 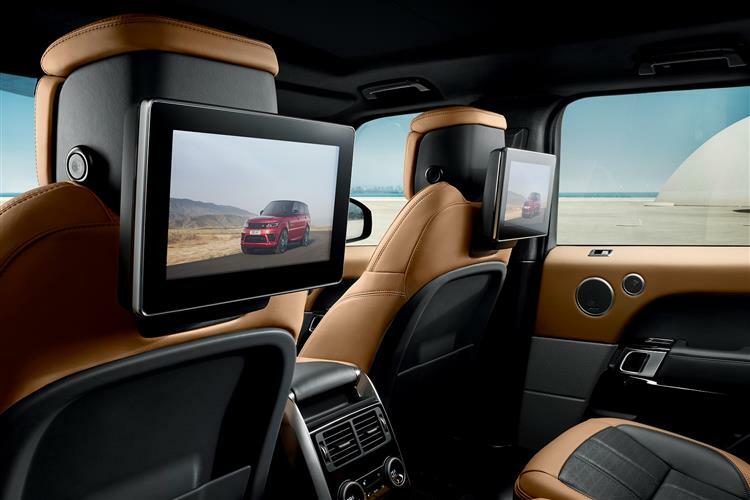 So, burdened with such expectations, how can this Range Rover Sport take them on at their own game? That's what we're here to find out. Can this car really be what Designer Gerry McGovern calls the 'Porsche 911 of SUVs'. The impressive 'Sports Command Driving position' anticipates such a showing - and once on the road, this car delivers it, the impressively light aluminium body structure making it feel a lot more nimble than you expect. Key changes beneath the bonnet have altered the engine line-up in recent times, which now starts with a 300hp version of the brand's four cylinder 2.0-litre Ingenium petrol engine - yes, a four cylinder unit does feature in a 'Sport'. Performance from this variant is reasonable - 62mph from rest takes 7.3s en route to 125mph - but if you need more pulling power, then you're going to want the 306hp SDV6 diesel that most customers choose. The other key alternatives lie with the 400hp P400 petrol version. And the 339hp SDV8 diesel. At the top of the line-up, the 5.0-litre supercharged petrol unit lives on, now offered with either 525 or 575hp, the later output available in the flagship sporting SVR variant. The most technologically advanced derivative is the 404hp 2.0-litre petrol/electric P400e PHEV plug-in hybrid version. 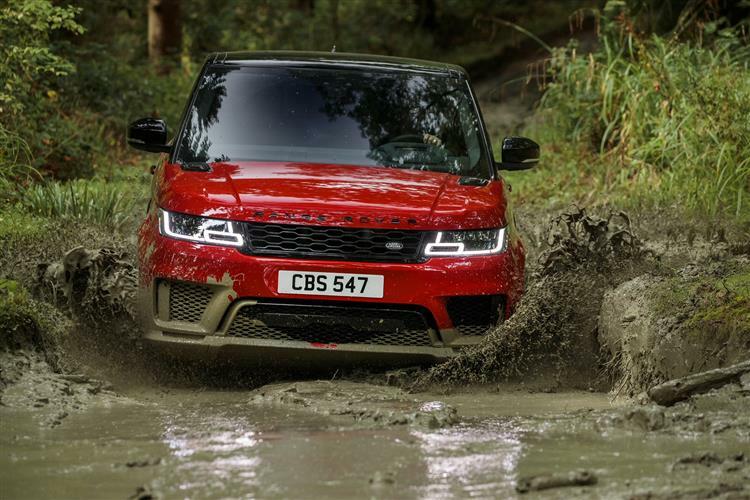 Off road, as you would expect, this car is peerless, especially if you specify it with a Terrain Response system that'll always choose the perfect off road set-up. 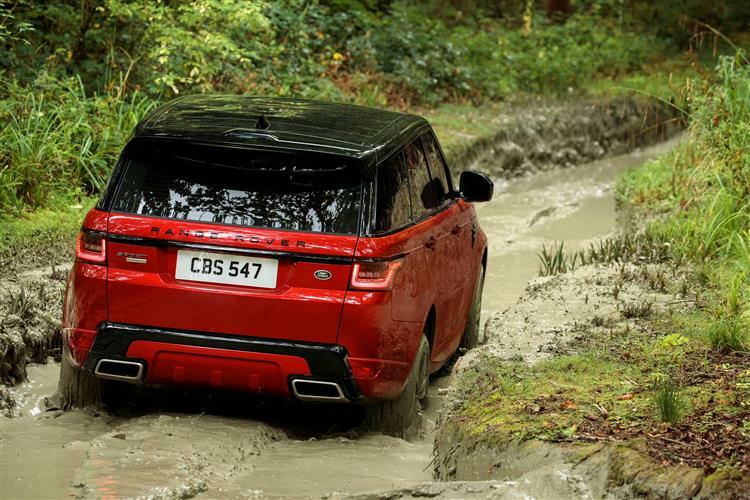 There's the further option of Land Rover's latest and very clever All-Terrain Progress Control system and now a clever 'Low Traction Launch' set-up that assists you when pulling away on slippery surfaces. 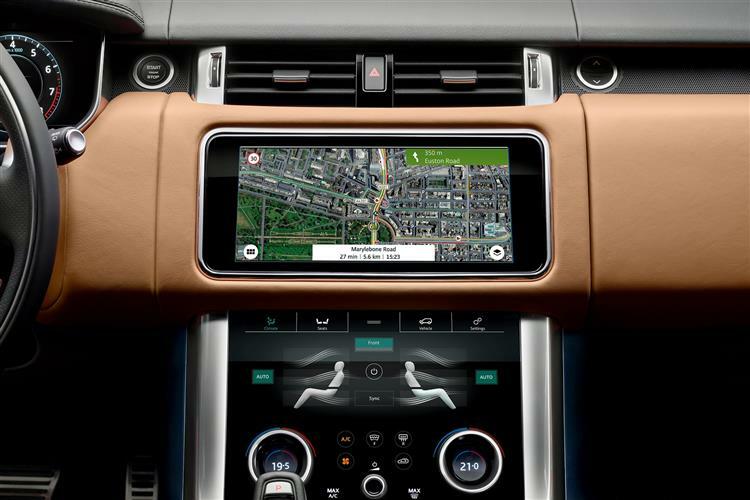 Plus you can now monitor things via what's called an 'All-Terrain Information Centre', accessible via the centre dash touchcreen. For on road use, the quicker models get Torque Vectoring and 'Dynamic Response active lean control' to sharpen things through the bends, plus a 'Dynamic programme' that quickens up throttle response, steering and gearshifts if you're feeling sporty. Minor changes have been made to the exterior styling in recent years, with more piercing intelligent Matrix Pixel LED headlights sitting alongside a redesigned grille. This is complemented by a restyled bumper with a more aggressive profile. Otherwise, it's as you were, so the clamshell bonnet, the 'floating' roof, the powerful wheelarches and the side fender vents that have always defined this model are all present and correct. And inside? 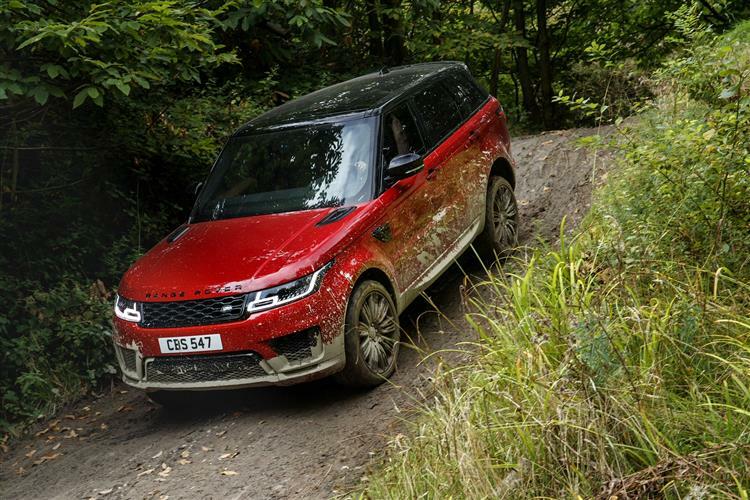 Well, you'd be disappointed if you didn't have to climb up into a Range Rover - that's part of its appeal - though older folk can ease the process by selecting the lower 'Access' mode on models fitted with air suspension. Once installed in the generously side bolstered seats though, there's no mistaking that you're at the wheel of this British institutional model's younger, slightly smaller and much sportier twin. 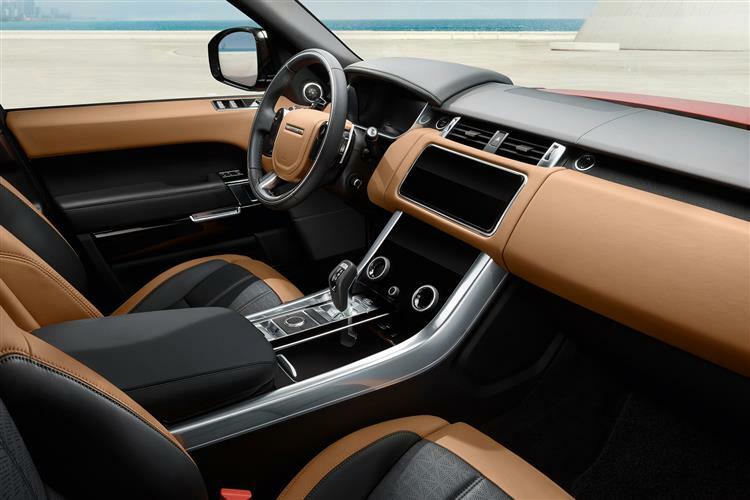 For a start, you're sat a tad lower than you would be in a Range Rover, plus the more compact thicker-rimmed wheel's smaller, the upright gearstick more purposeful and the centre console higher. 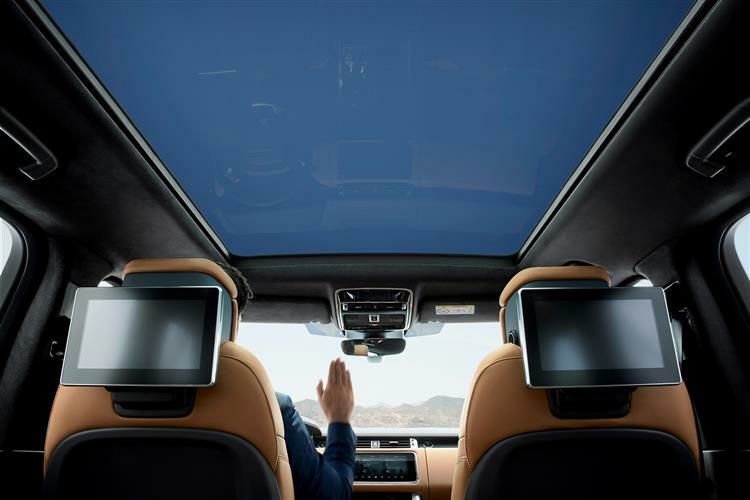 The key interior change with his revised model lies with the addition of the brand's latest Touch Pro Duo infotainment system which features a pair of high-definition 10-inch touchscreens that form the centrepiece of the minimalist cabin. In the back, there's plenty of room thanks to the large wheelbase and the option of a sliding seat. Which you'll need if you choose the 7-seat option and want to make the atmosphere for third row occupants a bit less cramped. Boot capacity isn't massive at 784-litres, but with the rear bench folded, the 1,784-litre total will be sufficient for most. 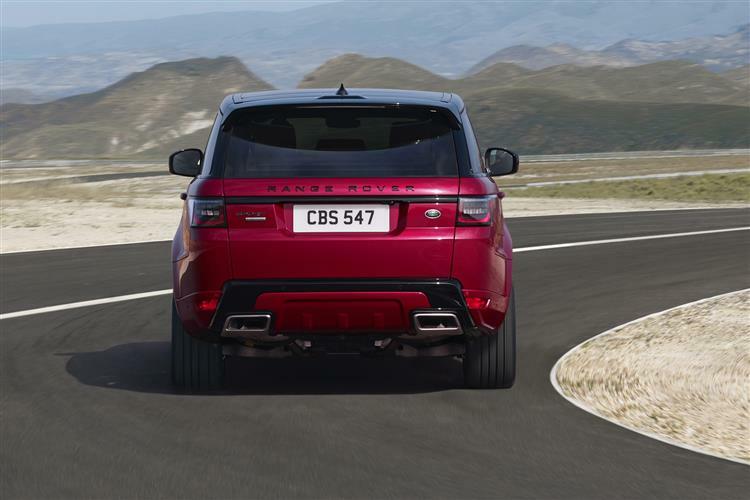 Range Rover Sport pricing is pitched into the £64,000 to £101,000 bracket. If you're looking at the entry-level SD4 version, that's around £13,000 less than a fully-fledged Range Rover with a 258bhp TDV6 engine fitted. 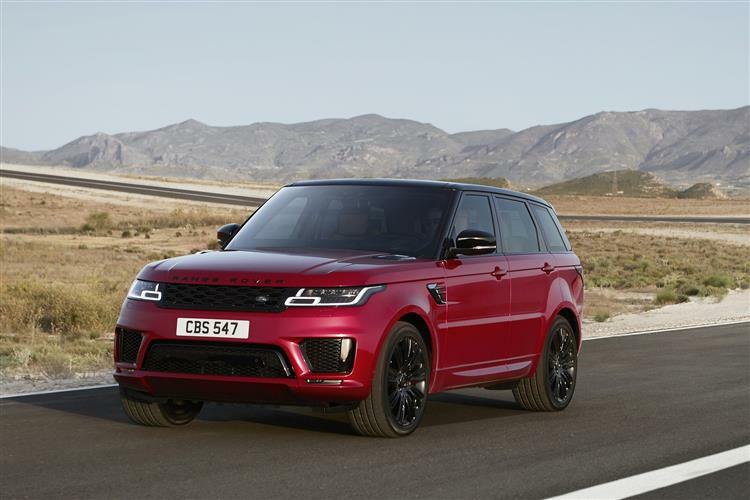 So there's quite a price gap between the two models, something that also holds true if you're comparing Range Rover Sport and Range Rover variants fitted with the 5.0-litre supercharged petrol V8 engine. Where this rule doesn't hold true is if you're comparing the Range Rover Sport with a Range Rover at V8 diesel level: here, pricewise at least, there's not much between the two cars at all. But this could end up sounding complicated, so let us try and simplify things. 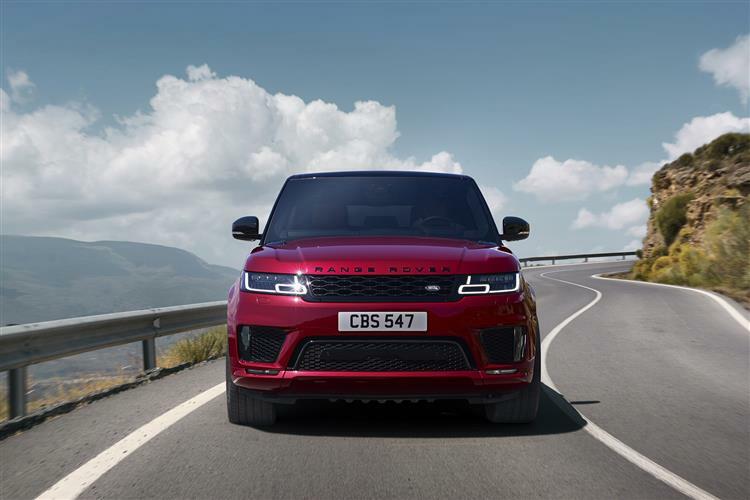 Essentially, there are two kinds of Range Rover Sport you buy into: lets loosely call these levels 'volume' and 'nice to have'. Most buyers will choose the six cylinder diesel model, the 306hp SDV6. As an alternative to the SDV6, you might like to look at the 300hp Si4 four cylinder petrol unit or the 400hp P400 six cylinder petrol powerplant. At the other extreme in the line-up, there's the 'nice to have' variants - the P400e plug-in petrol/electric Hybrid, the SDV8 diesel and 5.0-litre V8 supercharged petrol variant, offered either in 525bhp 'Autobiography Dynamic' or 575bhp 'SVR' guises. When the very first Range Rover Sport was launched, buyers were faced with a choice; reasonable performance or reasonable economy. You couldn't have both. How times have changed. Did you ever imagine that you could own a version of this car able to achieve 101mpg on the combined cycle and capable of putting out no more than 64g/km of CO2? Well, in the form of the P400e four cylinder Plug-in petrol/electric hybrid model, you can now. This PHEV variant offers a 31-mile all-electric driving range, enough for most owners' daily commute. This derivative's 13.1kWh high-voltage lithium-ion battery can be charged from empty in as little as 2 hours 45 minutes at home using a dedicated or 32amp wall box. If you're limited to using an ordinary plug socket and the 10 amp home charging cable supplied as standard, the battery can be fully charged in 7 hours 30 minutes. As for the more conventional variants, well even the six cylinder SDV6 diesel shouldn't be too expensive to run, managing up to 32.0mpg aon the combined cycle and up to 198g/km. All these figures are helped by Land Rover's decision in developing this MK2 model 'Sport' to create an all-aluminium body structure, thanks to which a huge 39% weight reduction has been possible. The first generation Range Rover Sport weighed 2,583kgs. This one weighs 2115kgs. Enough said. At the other diesel extreme, even the top 339hp SDV8 model manages 244g/km of CO2 and 26.7mpg and, thanks to its large 105-litre fuel tank, will probably offer you a similar driving range to that of the SDV6 variant. The top 5.0-litre V8 Supercharged petrol model also shares that bigger tank - and it'll need it because even though combined cycle fuel economy is still only rated at 18.9-19.9mpg, a figure we think you'd only achieve with a very frugal driving style indeed. With the fully fledged Range Rover now a plutocratic purchase, it's this Sport model that for us, now most faithfully continues a model line stretching all the way back to the 1970 original. That very first Range Rover was a car you didn't have to be afraid to use as intended, on or off road. And nor is this one. Get the fundamental thing right with any great design - in this case the weight - and everything else then tends to fall into place. The aluminium platform that here makes this car so relatively light solves at a stroke the two issues that blighted the original first generation Range Rover Sport: stodgy handling and high running costs. And yes, it does leave room for proper 4WD hardware to be fitted without compromising paved road prowess. Which is something that German rivals could learn from. True, it's a pity that pricing can't be more affordable - though the introduction of the Si4 four cylinder version does make the bottom of the range a little more accessible. Still, the right version of this car offers exactly the right kind of luxury SUV experience for those fortunate enough to be able to enjoy it. 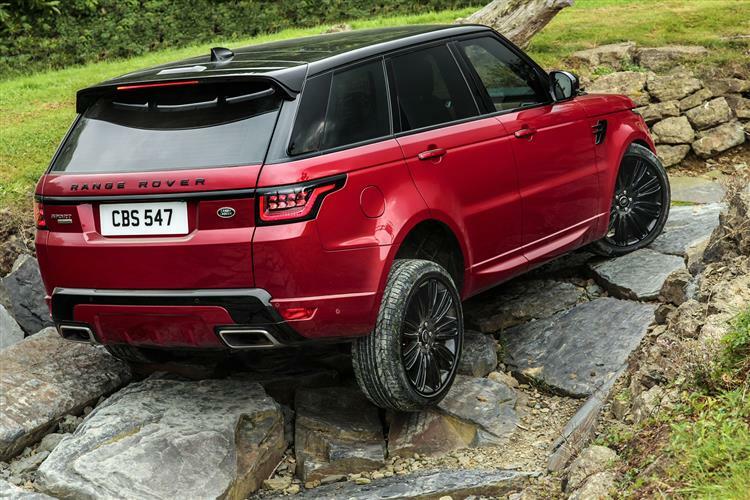 A Range Rover Sport that is in every way a proper Range Rover. Enough said.